Former Manchester City manager is in dark as to why he was sacked by the management at the Etihad Stadium. The Italian, who was sacked by the club in May and has since been replaced by Manuel Pellegrini, has suggested his treatment was unfair after going beyond the expectations set out by the club. Mancini endured a mixed three and a half years with the Manchester club, as he guided City to FA Cup glory in 2011 - the club's first trophy in 35 years - before winning the Premier League in 2012 to end City's 44 year wait for a league title. However, Mancini, in an interview with Corriere Dello Sport believes he was unfairly treated and deserved to be respected as his achievemnet speaks for itself. 'I think I deserved more respect for what I achieved at City in three-and-a-half years. The club didn't win a title for 40 years. I won a Premier League, an FA Cup, a Community Shield and, in the worst season, I lost a final and finished second in the Premier League. 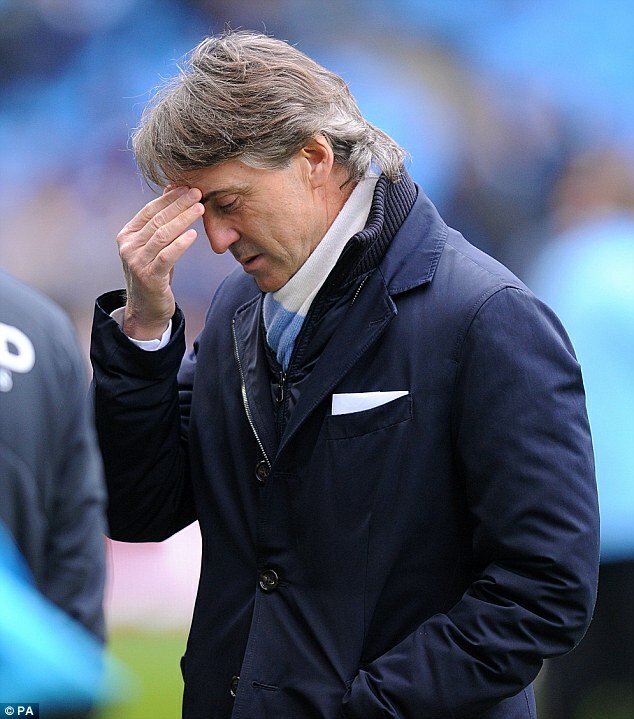 However, Mancini spoke with rather less enthusiasm about Ferran Soriano, claiming that his relationship with the club's chief executive was non-existent. In a scathing critique of the former Barcelona general manager, Mancini said: 'Soriano? For him I was too big within the club. A manager in full control, loved by the fans still today. He judged a person and a context without knowing anything about the people he should have dealt with. I never thought of him as an interesting person from a football perspective. We never spoke the same language. And I'm not talking about Italian, Spanish or English. Mancini, who was adored by City fans, also revealed that he had already started to make plans for next season - and he had identified Napoli's Edinson Cavani as the man to lead the club's assault on the Premier League title. City's interest in signing Uruguayan Cavani has since cooled, with Pellegrini less keen on the £54million rated frontman.